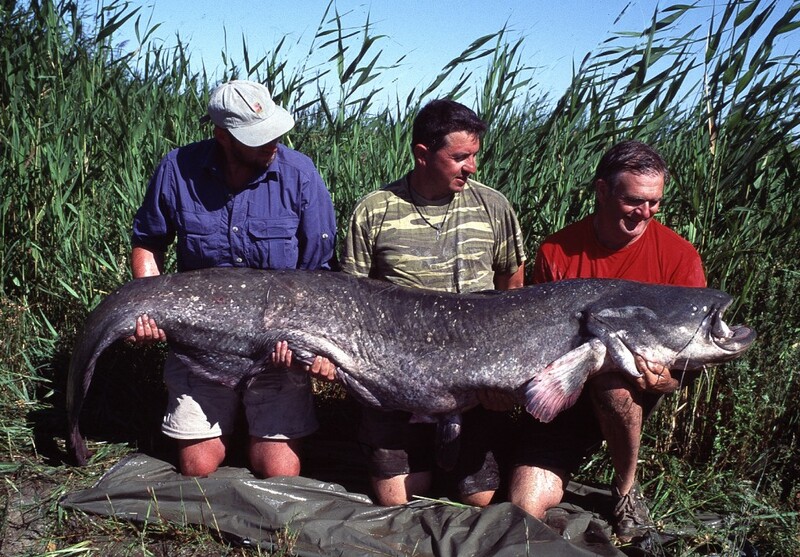 Although it's never likely to become a popular destination for even the most avid catfish seeker, fishing for huge cats in the Kazakh wilderness is possibly the absolute pinnacle of catfishing today. So if you don't mind a long flight of around 4500 miles followed by an arduous desert trek in an old four wheel drive army bus with three gearboxes and a view of the passing terrain through the holes in its floor, this might be for you! Of course you must also be prepared to spend time digging the bus and trailer out of numerous sand dunes and navigate the narrowest of rickety old bridges just to get you to some water. Follow that with a couple of hours in fibreglass boats with flexible floors and dubious engines and you might be lucky enough to find a spit of land (with no fresh water, electricity or toilet) that is firm enough to set up a camp bed beneath a very necessary mosquito net and all in temperatures of 35-40 degrees in high summer- welcome to catfishing Kazakh style! This type of wild and testing trip can only really be arranged with the help of a specialist tour operator and they are few and far between. 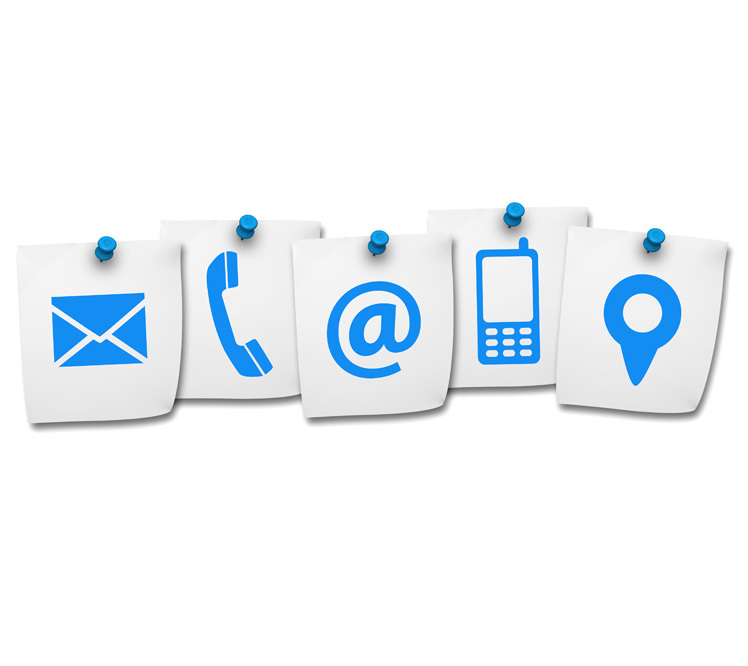 As usual Google is the first place to look and German or Austrian run companies would probably be the safest bet. 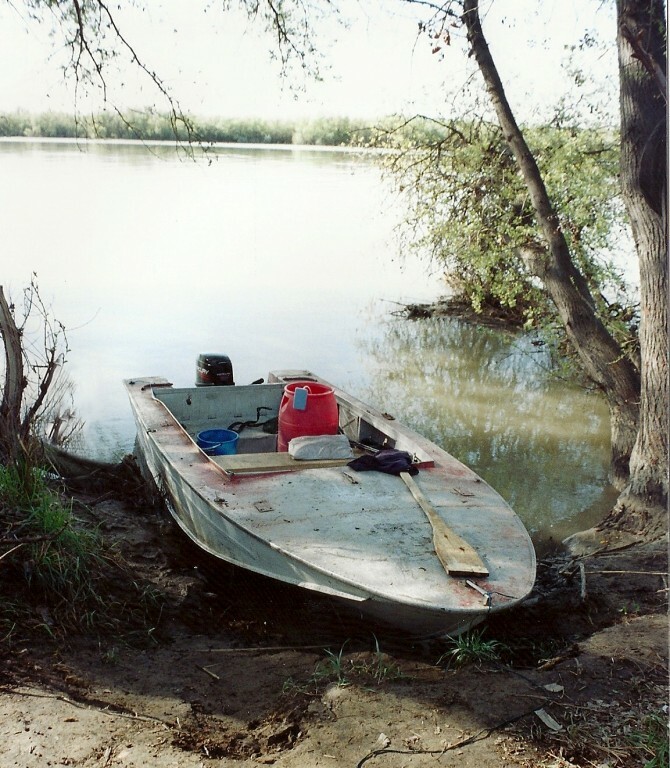 There are several large rivers in Kazakhstan that are of interest to catfishers but perhaps the most likely destination is the River Ili and its tributary the River Zhedeli. 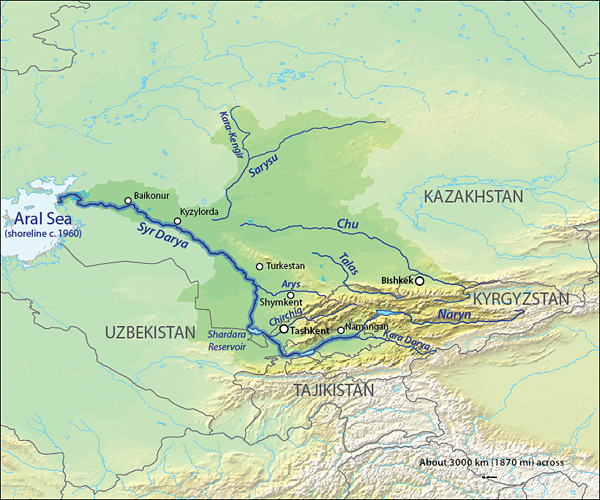 The Ili rises in the Tian Shan Mountains in North Western China and flows for around 400 miles before crossing the border into Kazakh territory. 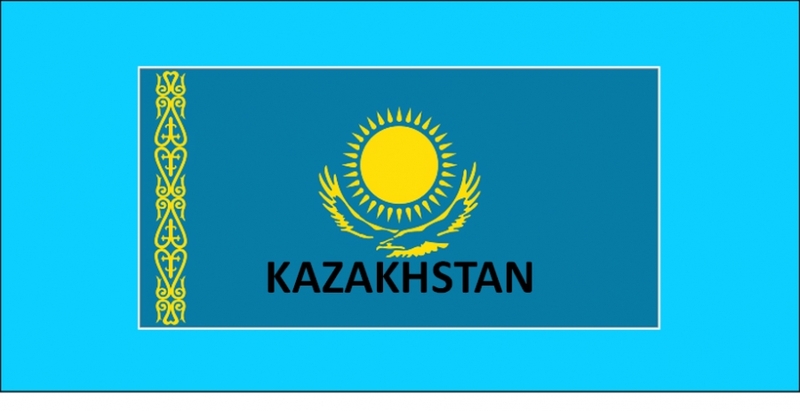 It then continues in a westerly direction for approximately 150 miles to the point where it is has been dammed to form the vast Kapchagay Reservoir. 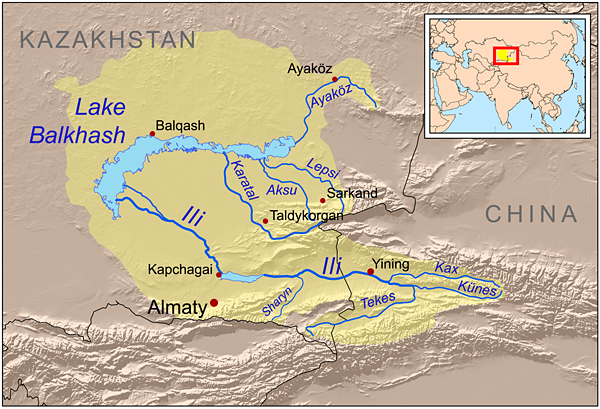 After exiting this 100 mile long man-made waterway it flows for a further 250 miles in a North Westerly direction before splitting into the many channels that make up the Ili delta that subsequently spills into Lake Balkhash. 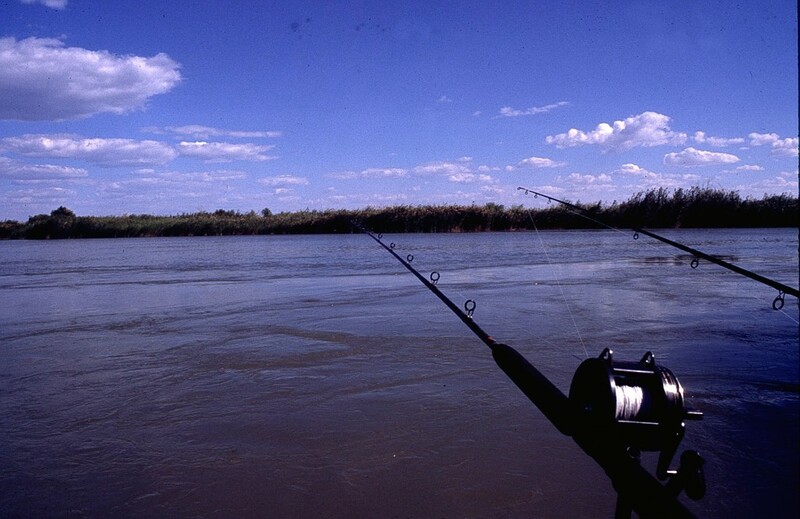 Further to the North East another major river the Karatal also empties into Balkhash and whilst this river also holds catfish it has been barely investigated by anglers although it is heavily fished commercially. 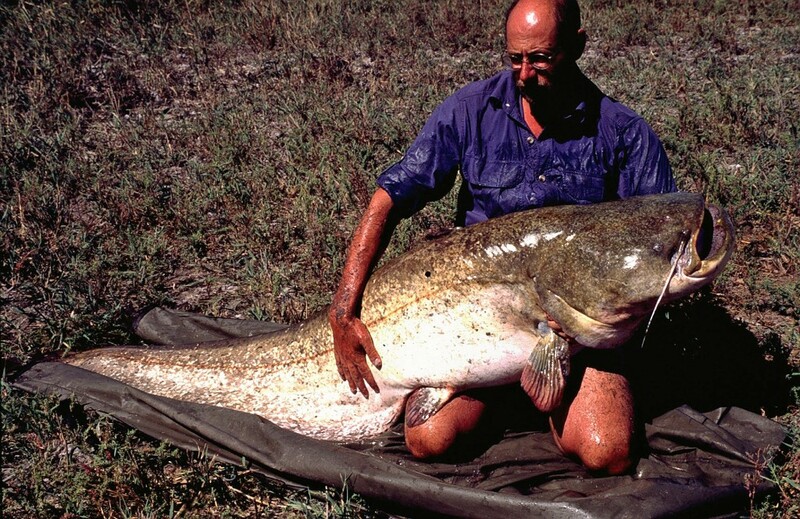 Surprisingly perhaps, catfish are not native to the Ili system but were stocked in the late fifties to provide a potential food resource; they of course thrived! 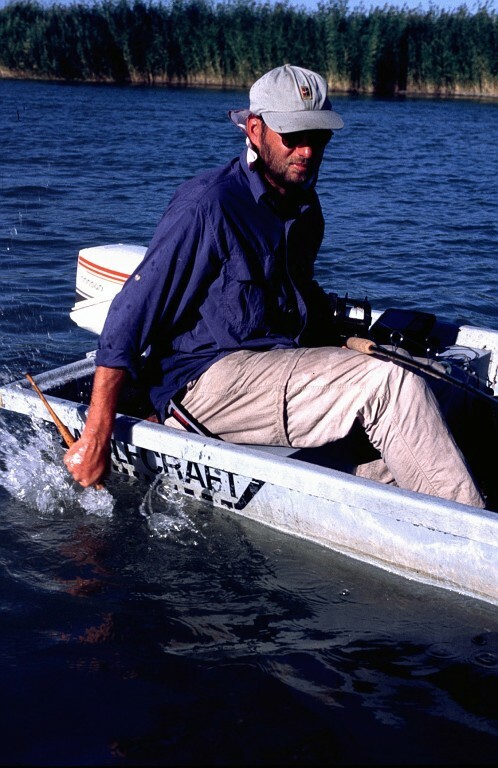 In August 1999, CCG members, Kevin Maddocks,Keith Lambert and Lez Gajur along with a few of their catfishing friends from Europe embarked upon a five week trip to the area to try and establish its catfishing potential for British anglers as it had really only been investigated previously by a limited number of German catters. The trip took nearly two years of planning, there was virtually no internet presence at this time and the only maps of the area were military reconnaissance ones that had been specially ordered so prior information was very difficult to find. Nevertheless, the trip went ahead, starting with an overland party of helpers leaving from Germany and driving more than 5000 miles via Poland, Belarus and Russia to Kazakhstan. They drove a lorry laden with angling and camp equipment, food, outboard engines and all the gear that couldn't be carried on the plane with the anglers. Fortunately everything went well and all the gear arrived safely at camp several weeks later. All the fishing on the rivers Ili and Zhedeli was done from boats (there was no dry land!) and invariably this meant legering dead baits in likely looking spots or more often drifting miles of river with live and dead baits whilst clonking. Apart from a limited amount of commercial fishing in these vast waterways which usually consisted with setting nets or traps, there was virtually no angling pressure on these catfish which meant that clonking worked well and many, many miles of river were covered during the trip. Trotting live baits under large floats in the slower currents also proved fruitful. Catching baits was relatively easy with plenty of asp, roach, rudd and small Volga zander to be caught. The main aim of the trip was to try and set a new IGFA world record for the species. Amazingly, at this time the record only stood at around the 70lb mark, all the guys on the trip had beaten that weight many times so the hope was to try and establish a decent target for the future as well as getting a more realistic size for the species set in the record books. 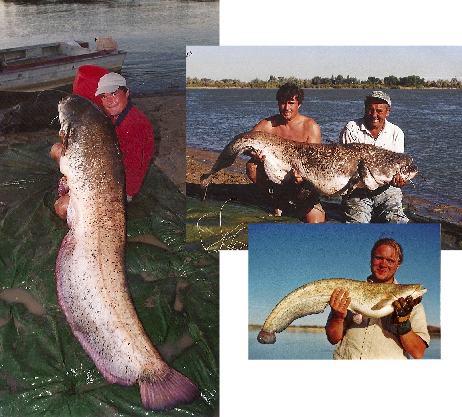 The results were from this trip, were far better than they could ever have hoped for with many 100 pound plus catfish caught including whackers of 141lb, 160lb, 187lb and best of all, the result they had all been working towards, a new world record! This was a massive fish of 202lb and was caught by Kevin Maddocks This was later ratified as an official IGFA all time record as well as a line class record as remarkably kevin caught the fish on only 40lb line! 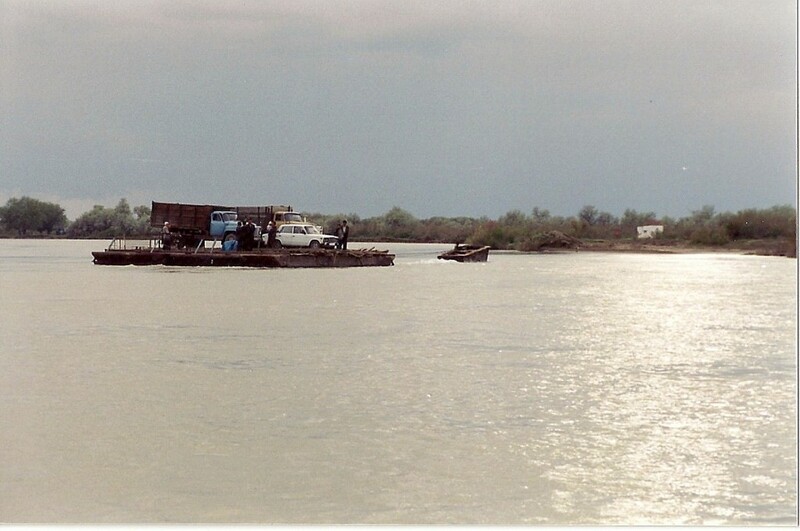 Further to the west and flowing north into Kazakhstan from Tashkent in Uzbekistan is the mighty Syr Darya. Famous for its giant sturgeon and caviar harvest. The Syr Darya also has a head of truly massive catfish. 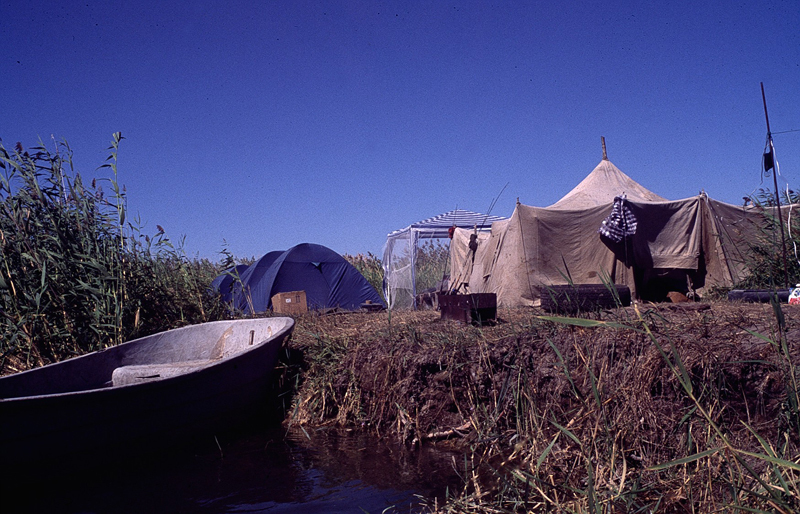 Unlike, The Ili, the Syr Darya has a natural population of catfish and although it is largely unfished by western anglers, previous parties of CCG members and their friends have visited this wild and remote region and (as can be seen by the rather old and poor pictures below) with some quite success, including a monster of 198lb for Nick Berridge! Logistically, this part of Asia is not at all easy to fish and trips here are tough to say the least but for the adventuring types who aren't afraid to fail, this could just be the place to go!